It’s no secret that Cape Town is known for producing some of the best wines in the country. 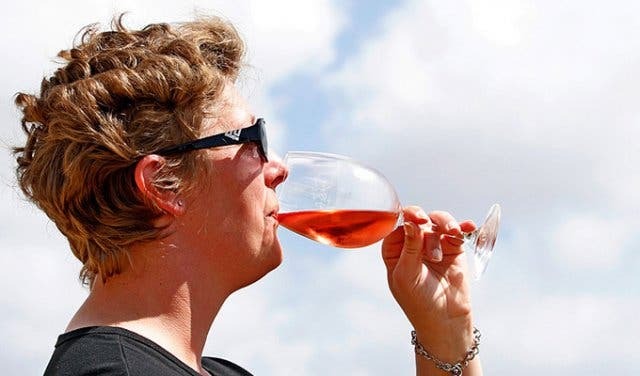 From Wellington to Constantia to Durbanville, the award-winning wineries in the Western Cape host festivals throughout the year with plenty of reds, whites and pinks to sample along with tasty treats at their stunning vineyards. You don’t need to travel far to try award-winning wines from the Cape’s finest wineries. 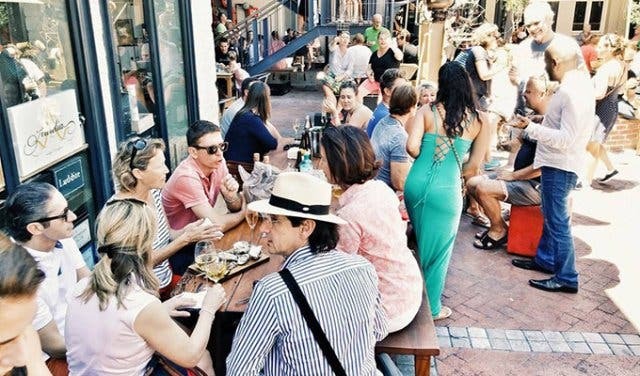 Wine at the Mill invites you to spend your Sunday sampling vinos from over 50 wine producers at The Old Biscuit Mill in Woodstock. Make your way to the Sunday Wine Affair and taste a variety of superb vintages before trying scrumptious dishes from Pete Goffe-Wood and the Kitchen Cowboys or oysters and bubbly from Afrofizziac. COST: Tickets can be purchased from Quicket.co.za for R225p/p or from Wine at the Mill for R220p/p. For more information, email info@wineatthemill.com or phone +27 (0)21 447 0240. 148 wineries are gathering at the Coetzenburg Sports Ground for a weekend of wine tasting, gourmet meals and fun in the sun. 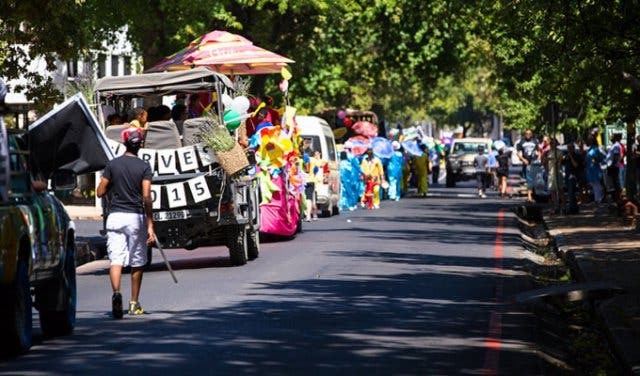 The Stellenbosch Wine Festival is packed with activities for the whole family to enjoy, such as the Harvest Parade, which celebrates the grape harvest season with a procession of trucks and tractors carrying farm workers and local bands down the streets of Stellenbosch. Patrons can take part in the Grape Golf Challenge, the Pick n Pay Women’s Walk and the 17-km Grape MTB race. The weekend isn’t only about wine though – take a trip down Gourmet Lane and try a meal from a few of the luxurious restaurants found in the area. COST: Ticket information has not been released yet. For more information call +27 (0)21 426 5775 or visit Stellenboschwinefestival.co.za. 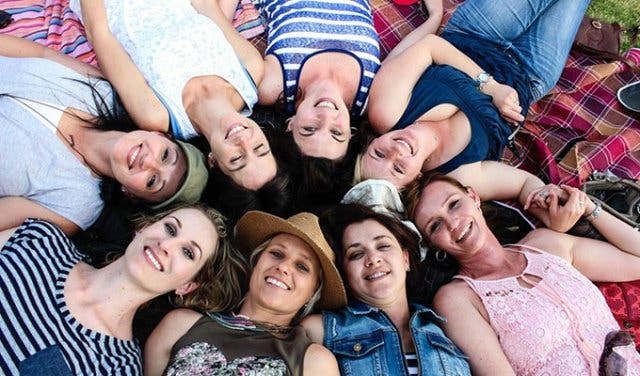 As the harvest season comes to a close, vineyards in the Durbanville wine valley get together to display their reds, whites and pinks at this two-day festival. Take part in a grape-stomp for charity, discover the techniques of wine tasting with a tutored tasting session and let loose with a live performance by one the city’s premiere music acts. In addition to the variety of vinos, wine farm restaurants in the region will be serving up their signature dishes for all to enjoy. There will also be a kids’ zone at the festival so the little ones can play around for hours on end while mom and dad enjoy the wine. COST: Entry prices to the festival have not been confirmed yet. For further information call +27 (0)83 310 1228 or email angela@durbanvillewine.co.za. Grab a slice of cheesy goodness at this unusual wine fest that combines top notch vinos with scrumptious pizza. 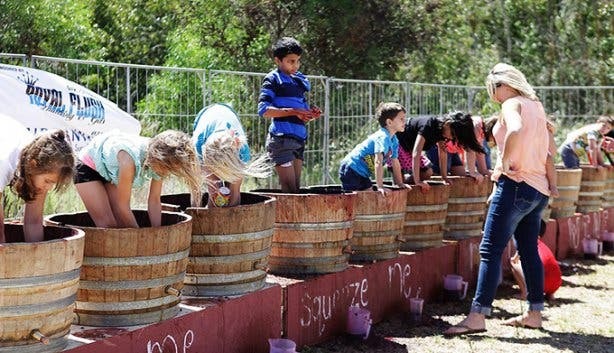 Stellenbosch Vineyards has put together a lip-smacking feast that wine aficionados and pizza-lovers alike will absolutely love – they’re even offering vegetarian and banting pizzas for festival-goers with alternative diets. Make sure to bring your kids along as there will be loads of great activities for their enjoyment. COST: Tickets to the festival will cost R160p/p and includes five wine tastings, a glass and three vouchers to get R10 off your pizza order. Kids are allowed in for free but will not receive any of the above offers. For more information, call +27 (0)21 881 8062 or email info@stellvine.co.za. Feast on a selection of delectable dishes prepared by some of the country’s culinary masters while enjoying a range of vinos from all over the world at the Buitenverwachting Wine Estate, a lush domain situated on the edge of Constantia. Celebrated South African chefs Peter Tempelhoff, Brad Ball and Annemarie Steenkamp will provide tasty fare to accompany the wines on offer. There will also be live music performances and a wide variety of entertainment for your pleasure. COST: Ticket information for the festival has not been released yet. 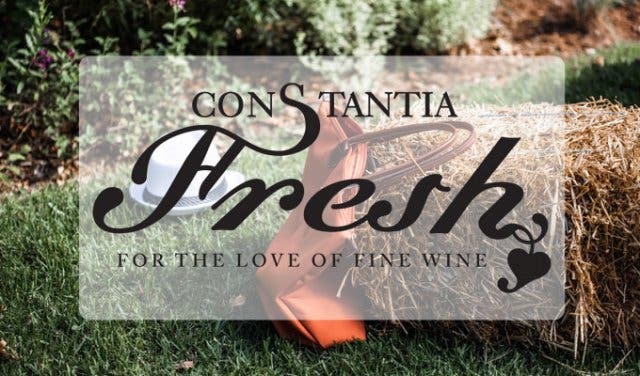 For more information call +27 (0)83 265 2405 or check out Constantiafresh.com. 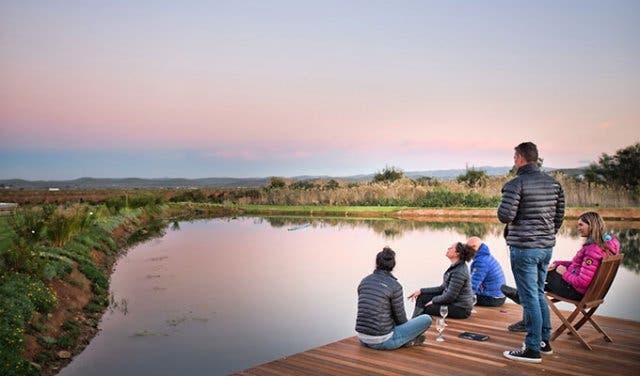 The Diemersfontein Wine Estate, found in the tiny town of Wellington, is a stunning setting for a luxurious day of croquet, canapés and of course, white wine. The theme for this exclusive event is “white attire” - guests are expected to dress up in their finest white garb and the best-dressed guest will receive a mystery prize. This is an adults-only event, so mom and dad can get a break from the hustle and bustle of a busy home and enjoy a relaxing day outside of the city. COST: Ticket prices have not been released yet. For more information call +27 (0)21 864 5050 or send an email to online@diemersfontein.co.za. If you’re looking for a wine festival that isn’t too far from home, the Noordhoek Crush Wine Festival is the place to be. 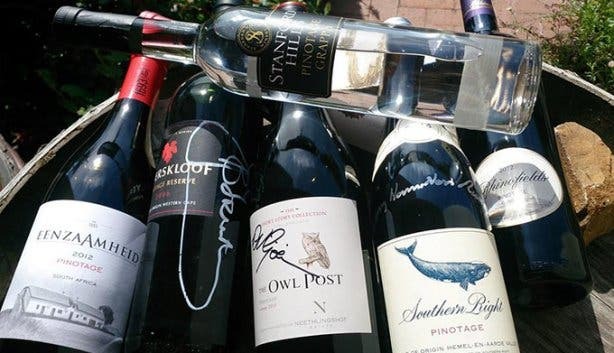 Over 100 wines from 20 wine estates in the area will be on sale at discounted prices so you can stock up on your favourite reds, whites and pinks while learning about the wine-making process. Last year, local restaurants such as Café Roux and The Foodbarn hosted pop-up food stalls so that no one went hungry at this outdoor affair. The vino fest is open to people of all ages and there will be sand art, face painting and more fun activities for kids to take part in throughout the day. COST: Entry to the event is free but tickets must be purchased for the wine tasting event. Ticket information has not been released yet. If you require more information call +27 (0)82 550 5661. Gourmet meals and award-winning wines are on the menu at this family-friendly festival in Constantia. 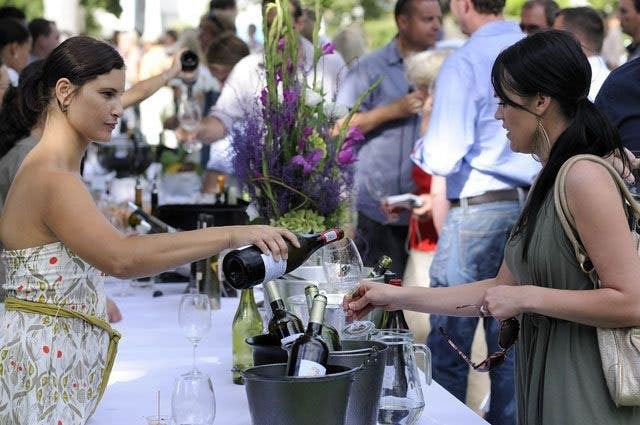 Nine wineries in the Constantia area will be offering up samples of their finest red and white wines and a selection of eateries in the region will be dishing up delectable treats, but everyone is welcome to pack a picnic basket and dine on the sprawling lawns on the wine estate. The estate is setting up a play area for the little ones to scamper about while the adults are taking part in tasting sessions. There will be a shuttle service available to transport guests to and from the parking area. COST: Ticket information has not been released yet. For more info call +27 (0)83 679 4495 or email info@constantiafoodandwine.co.za. The Elgin Valley is known for producing delicious apples on its farms, but the region also serves up a fantastic selection of local wine. 16 wineries in the valley will be offering unique wine tasting experiences at their estates where patrons can delight in a variety of vinos paired with homemade meals and bistro-style dishes. There will be plenty of entertainment to keep children occupied at many of the estates, so don’t worry about getting a babysitter for the weekend. COST: Ticket information has not been released yet. Children under the age of 18 enter for free. For more information email info@ecwcf.elginwine.co.za. This wine festival is for the more active vino lover - attendees of the Nuy Valley Feast can take part in a 5-km or 10-km fun run and trail walk before tucking into traditional German food and beer at the Liepzig Country House. 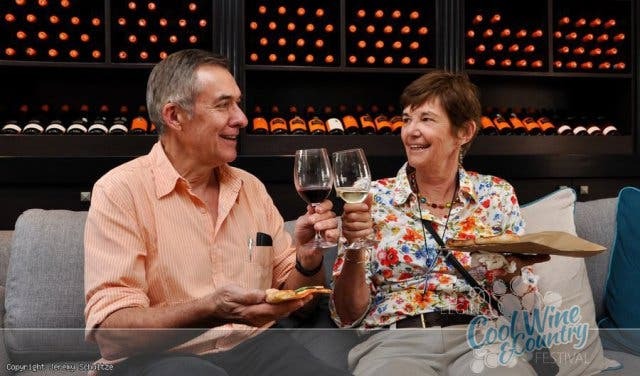 Those who prefer a more relaxed day can sample superb wines at Conradie Penhill Family Vineyards, learn how to blend wine at Nuy Winery and take part in a Greek food demonstration at Willow Creek. Shuttle services and accommodation options are available so there’s no need to worry about driving through the area. COST: Ticket information has not been released yet. For more information call +27 (0)71 205 6694 or send an email to info@nuyvalleyfeast.co.za. You’re in for a wild and crazy weekend at the wackiest wine festival in the West. This four-day long feast in the Robertson Valley will feature tasting sessions, wine estate tours, live entertainment and a variety of traditional countryside fare to keep everyone’s tummies filled. With over 40 wine producers taking part in the festival, you’ll be spoilt for choice! Each of the wineries is preparing a schedule of incredible activities and live entertainment for guests, so you won’t be bored for a second. Tickets for this fun fiesta include access to the wineries, six free wine tasting coupons per winery, a wine glass and a water bottle. COST: Ticket information has not been released yet. Visit Wackywineweekend.com to view the program for the weekend or email manager@robertsonwinevalley.com for more information. 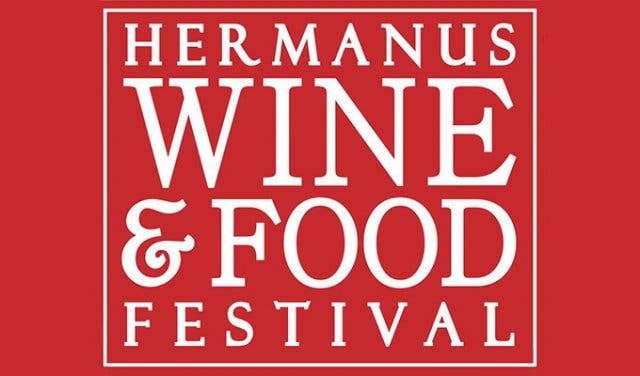 Most people visit Hermanus to see whales splashing about in the sea, but this seaside town is home to something even more exciting - the Hermanus Food and Wine Festival. 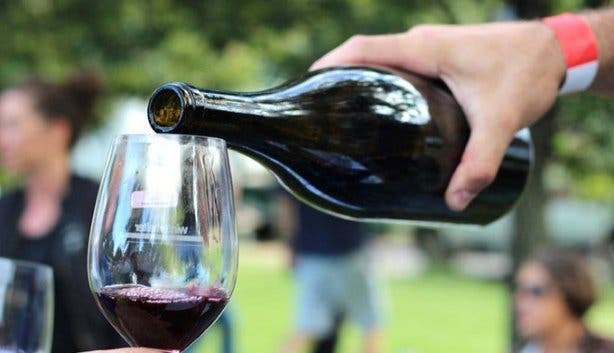 Hailed as one of the best vino celebrations in the country, this three-day fest brings over 65 wine estates and craft breweries together to share their delicious drinks. Whether you’re yearning for Pinotage or craving Sauvignon, every wine you can think of will be on offer over the weekend. At the last food festival, chefs from the region prepared local dishes for tourists to try out such as organic cheese, handmade chocolates and tangy olives. What’s more, there will be puppet shows, jumping castles and face painting to keep the little ones happy all weekend. COST: Ticket information has not been released yet. For more information call +27 (0)28 316 3988 or email wineoffice@hermanus.co.za. 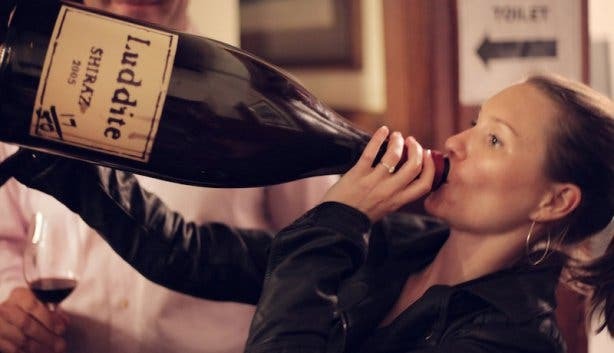 We can all agree that the only problem with wine is that the bottles never carry as much as we want. 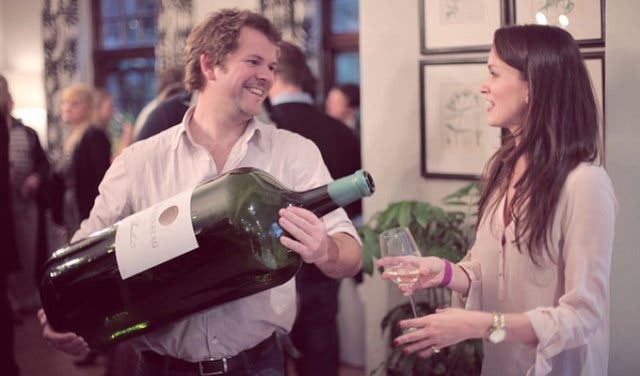 Well, the Big Bottle Food and Wine Festival is solving that issue by serving stellar vinos in incredibly large bottles. Last year, Le Lude will be presented a selection of rare champagnes for guests to sample. The Cape Town Club’s Resident Head Chef Alfred Venter served up a four-course meal paired with seven Italian wines such as 1997 Vasco Sassetti Brunelo di Montalcino Riserva. Guests also have the option of attending walk-about tastings and master classes where top wine-makers will be sharing their knowledge of winemaking. COST: Ticket information has not been released yet. For more information call +27 (0)72 467 5943 or email enjoy@finewineevents.co.za. 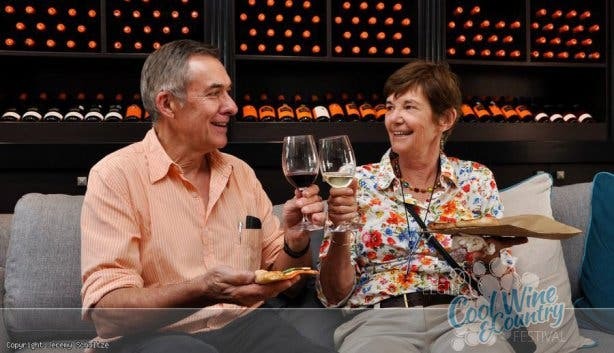 Wines of Elgin is hosting their first educational wine festival where visitors to the valley can sample a selection of vinos and learn about the art of wine tasting. Boschendal, Elgin Vinters, Paul Cluver Wines and more of the Cape’s best wineries will take part in this exclusive event. 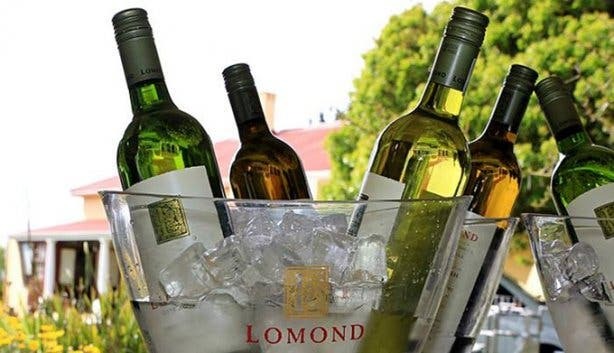 The festival will feature a seminar and tutored tasting session with Elgin Chardonnays hosted by Jamie Goode, a wine expert based in London, followed by a gala dinner. There are plenty of hotels and guest houses offering accommodation in Elgin. COST: Ticket information has not been released yet. For more information, email info@winesofelgin.co.za. International Pinotage Day is taking place on Saturday, 8 October 2016 and Simonsig is celebrating the day with a Pinotage festival. Visitors are invited to sample a range of Simonsig Pinotage blends such as Redhill Pinotage and Simonsig Kaapse Vonkel Brute Rosé. Enjoy a burger, boerewors , cheese platters and vetkoek from Cuvée, the award-winning restaurant located at the Simonsig Wine Estate.The chef at Cuvée is spicing things up with a unique Pinotage cocktail that was made especially for this auspicious occasion. On the evening of the festival, Cuvée chef Carolize Coetzee and winemaker Debbie Thompson are teaming up to create a four-course meal paired with different wines. The dinner is priced at R450p/p and booking is essential. There will also be live musical entertainment by Jack and Black, a rocking cover band from the Mother City. COST: Ticket information has not been released yet. For more information call +27 (0)21 888 4932 or visit Simonsig.co.za. 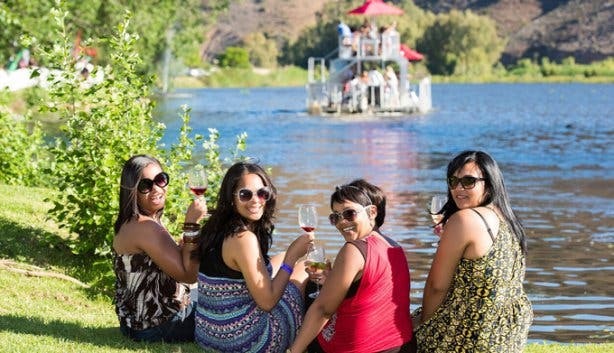 The weather is heating up and this fun wine festival along the Breede River is the perfect way to cool down. 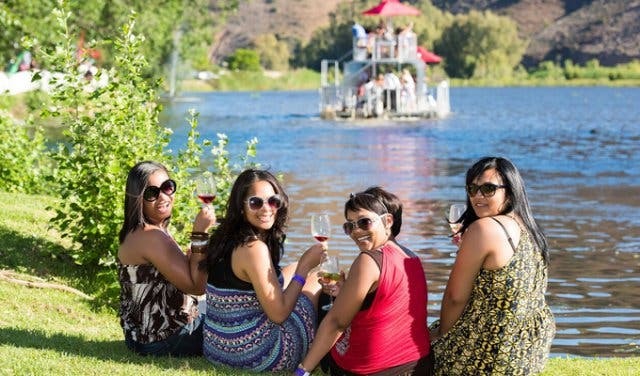 With over 300 wines from 40 wineries available for the weekend, a range of delicious dishes on sale at the market and boat rides down the river, this family-friendly extravaganza is one that shouldn’t be missed. 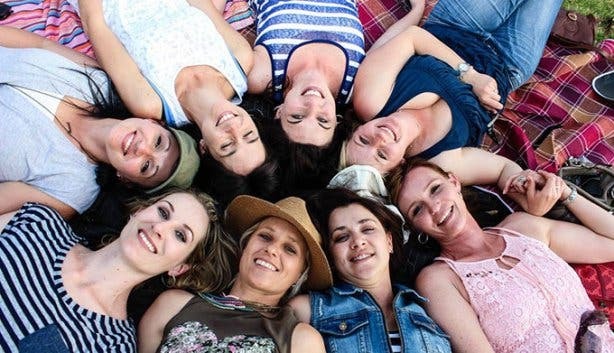 Goudmyn Farm will also play host to a line-up of stellar music acts and a fun area for kids so every member of the family has something to put a smile on their face all weekend. COST: Ticket information has not been released yet. If you would like more information call +27(0)23 626 3167 or email manager@robertsonwinevalley.com. 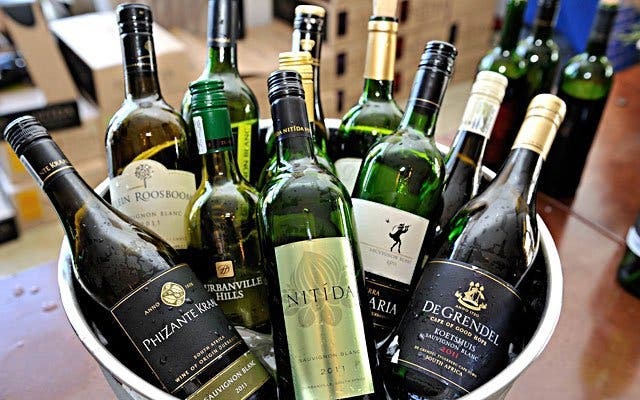 ‘Tis the season for white wine and 12 wineries such as Meerendal, De Grendel and Hillcrest will be showing off their best Sauvignon Blancs at the 12th edition of this fabulous fiesta. Spend the weekend sampling wines from each of the participating vineyards - you’re guaranteed to get a unique experience at every stop. If you need something else to fill your tummy between drinks, tuck into a classic country-style meal or gourmet dish paired with Sauvignon Blanc. The fun doesn’t end there! There will also be live music entertainment, the Durbanville Sauvignon Wine Ferry and a kids area for festival-goers to enjoy. COST: Ticket information has not been released yet. For more information on the programme, visit Durbanvillewine.co.za or call +27 (0)83 310 1228. 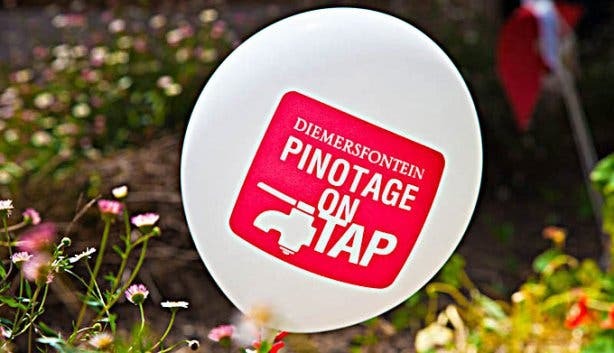 Pinotage on Tap has become so popular that wine lovers from all over the country are flying in to the Mother City to take part in the festivity. 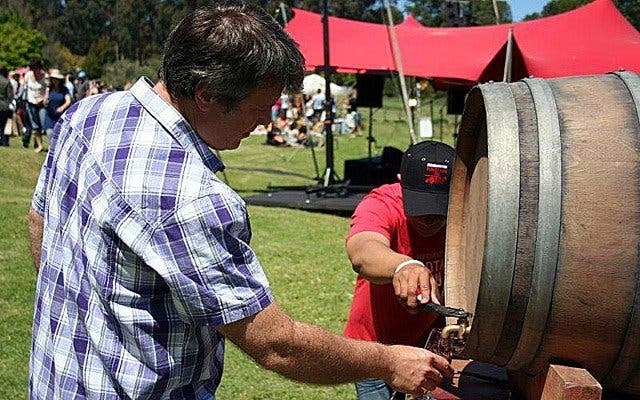 Wineries from every part of Wellington have got barrels of wine all over the Diemersfontein Wine Estate so you’ll never have to worry about your glass being empty. Coffee lovers are in for a treat as Diemersfontein is known for their unique coffee Pinotage. Patrons will be given a goodie bag on arrival filled with meal vouchers and yummy snacks, and there will be an amazing line-up of local musicians playing throughout the day. COST: Ticket information has not been released yet. For more information call +27 (0)21 864 5050 or visit Diemersfontein.co.za. Great wine, fantastic food and live music are on the cards for everyone attending the Elim Wine Festival. Although the village is new to the wine growing game, the vineyards in Elim have proven to serve some of the best vinos in the country. 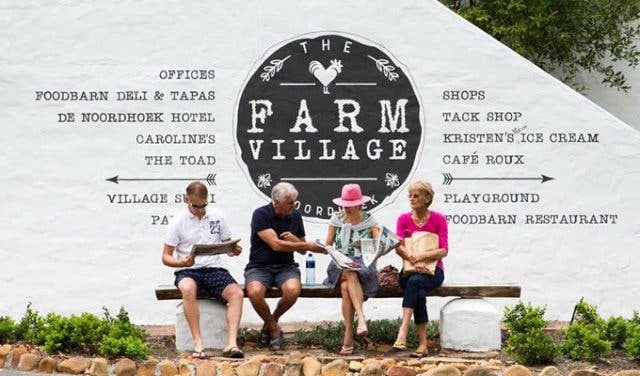 Once you’ve had your fill of wine, visit the local produce market and try the farm-style feasts or have a look at the fynbos flower displays found in the region. Patrons will also be treated to a vintage tractor parade, a sheep dog display and a live music concert by a local act. COST: Ticket information has not been released yet. For more information, email info@elimwines.co.za or call +27 (0)28 482 1618. 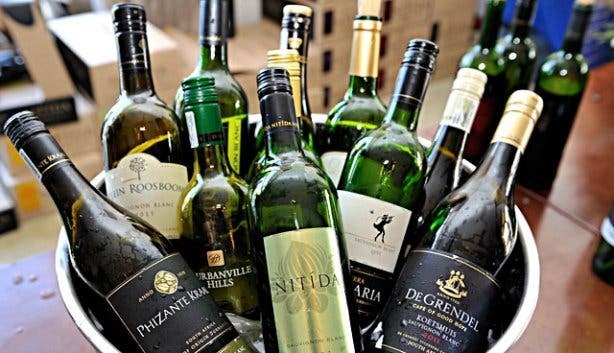 Chardonnay enthusiasts can take part in a tutored tasting session hosted by Dr Wini Bowman (Cape Master of Wine) that will feature wines from each of the participating vineyards and a three-course lunch paired with Chardonnay. 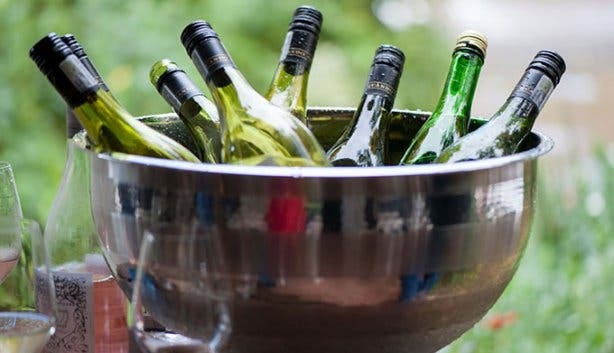 Those who would rather enjoy a toned down day of drinking can opt for the Leisure ticket that includes free wine tasting, a picnic hamper, live music entertainment and access to a variety of stalls selling gourmet treats. Also on the schedule for the day is a sunset boat cruise on the Klein River lagoon, croquet on the lawn and an outdoor party featuring DJ Tess on the turntables. COST: Ticket information has not been released yet. For more information email info@hemelenaardewines.com or visit Hemelenaardewines.com.